The full spectrum of eye care services is offered to clients of all ages, from children to older adults: vision tests, corrective laser eye surgery, immediate attention for eye emergencies and so much more. Dr. Kimberly Nguyen Stuckey at Groveport Eye Care gives thorough eye care to a diverse clientele with specialist support for a wide array of issues such as macular degeneration, dry eye, diabetic retinopathy, glaucoma, and cataracts. 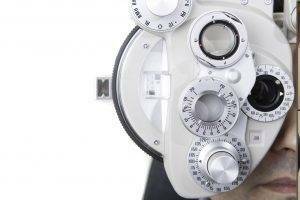 For an eye exam or eye doctor consultation near you, call our office. According to experts, 80% of learning is visual, which means that if your child is having difficulty seeing clearly, his or her learning can be affected. To ensure that your children have the visual resources they need to grow and develop normally, their eyes and vision should be checked by an eye doctor at certain stages of their development.